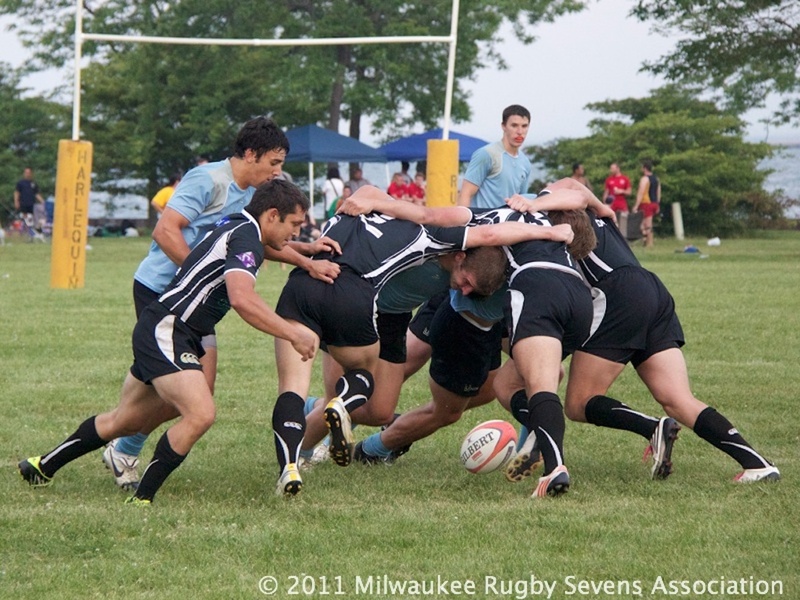 The Lakefront 7s has always featured the top teams in the Midwest and the team that wins the Men’s Qualifier bracket invariably makes an appearance at the National Sevens Club Championship. 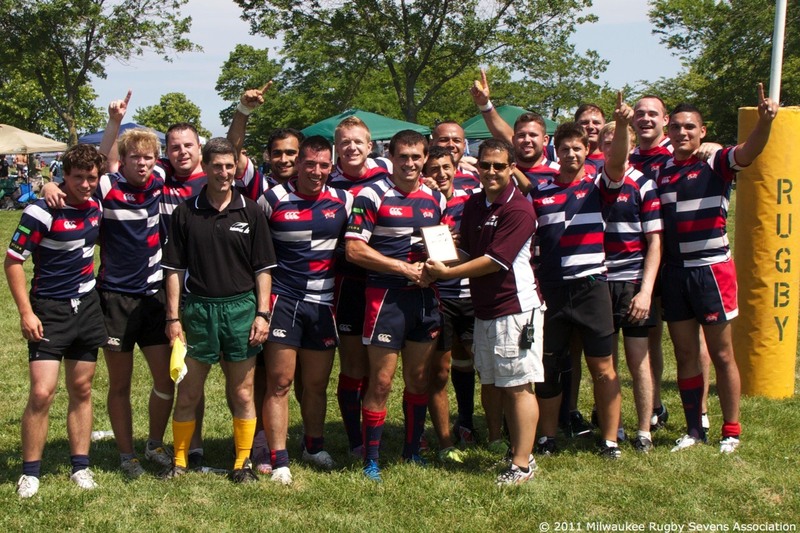 The 2011 tournament was no exception as the 1st and 2nd place teams, the Lions (Chicago) and Youngbloodz (Minneapolis), went on to take the top two positions at the Midwest RFU territorial playoffs and thus qualified for the national championship. In their third consecutive Qualifier finals at the Lakefront 7s, the Chicago Lions defeated Youngbloodz in a one-sided affair as the sun began set on a magnificent day of rugby. Youngbloodz, having lost just one match to the Lions in pool play and winning the 4th seed in the knock-out stage, were the dark horse in the knock-out stage as they faced 1st-seed Griffins in the semi-final. 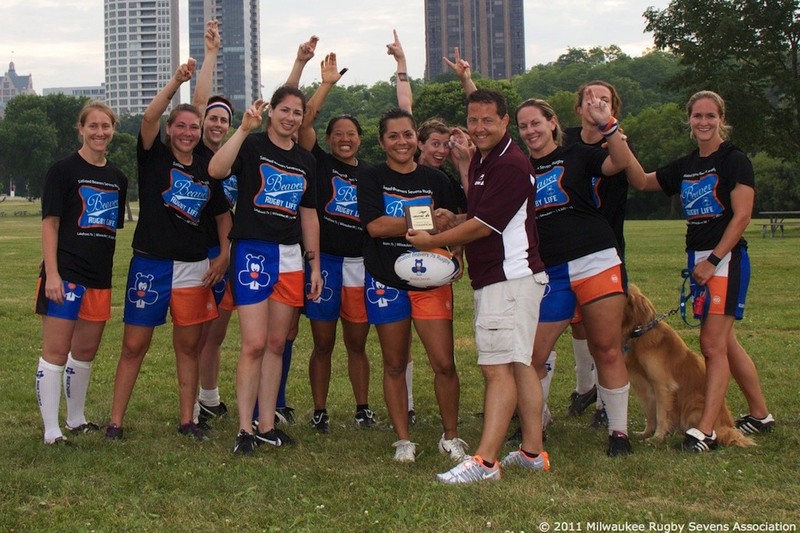 The Women’s Competitive bracket was a proving ground for new talent at the 2010 Lakefront 7s. Following the seeding round, the only repeat finalist from 2010 was Boomerangs (formerly Chicago North Shore) who took the 4th seed into the knock-out round with a 2-1 record. 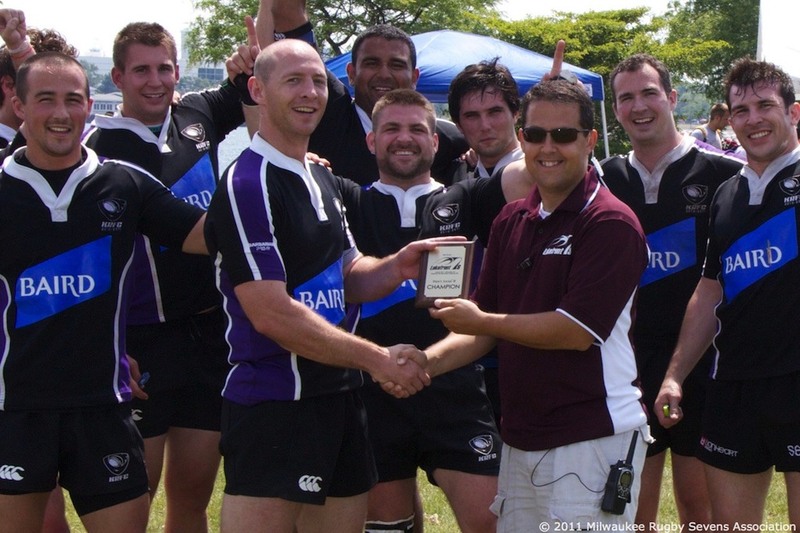 This was the second consecutive finals qualification for Boomerangs in 3 appearances at the Lakefront 7s. The 2011 High School Boys bracket was a little smaller than in previous years but the 8-team contest produced some interesting match-ups. 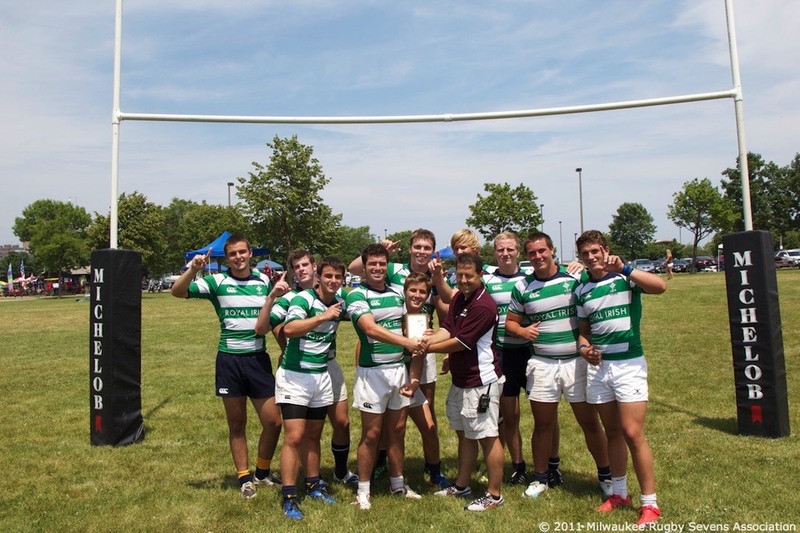 In the seeding round, tourney new-comers Cathedral (Carmel, Indiana) racked up an impressive 28 tries in 3 matches to capture the 1st-placed seed in the knockout rounds. The second-tier Men’s competition was an exciting pool. It was the first to fill up during the registration period and the enthusiasm spilled onto the field with dramatic seeding and knock-out rounds. In pool play, the Hyenas finished as the 1st seed with with a 3-0 record, due in part by the surprising forfeit of Lincoln Park. The winners of the other 3 brackets all had 2-0-1 records with the draws revealing how close the competition was. The Women’s Social division at the Lakefront 7s usually attracts a very consistent set of teams from the Midwest and this year was no exception. In fact, three of the finalist teams were repeat participants with Beaver Nation being the débutantes. As in the past, the Men’s Open Social division is the most heavily attended and with 32 teams this year, we created two 16-team competitions. In Men’s Social 1, the Chicago Condors and Chicago Riot took the top-two seeds in pool play, each with 11 tries and 3-0-0 records. In the second of two Men’s Social divisions, we again saw three teams advance from the pool stages with perfect 3-0 records separated only by the number of tries scored: 1st seeded KISS (16 tries), 2nd seeded Snekark (14 tries) and 3rd seeded Mercenaries (12 tries). Of interest to our local rugby family here in Milwaukee, the KISS bracket also contained a team of “Kloibers” with all the players being sons of the Lakefront 7s founder “Pappa Joe” Kloiber. 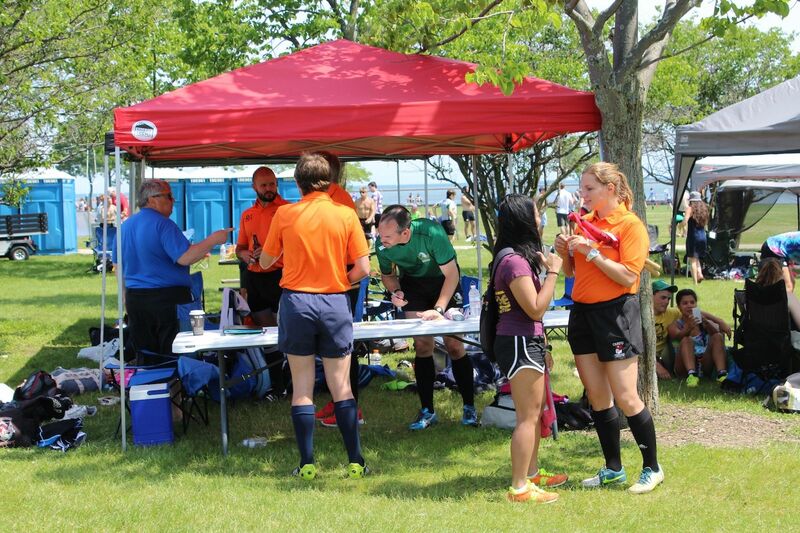 Due to the efforts of numerous referee societies and the careful planning of Jim Harings (Milwaukee Harlequins RFC) and Brad Casetta Sr. (Fond du Lac Rugby Inc.), the referees listed below have been assigned duties at the 29th annual Lakefront 7s. The Wisconsin referee society supplied the bulk of the referees with a tally of 14. Minnesota, CARFU, Michigan and New York also contributed and will provide important cover for the all the finals as well as the pool stages in the Competitive and Qualifier brackets. In one of the closest matches in the knock-out stage, the Condor’s defeated the Pandas 26-21.